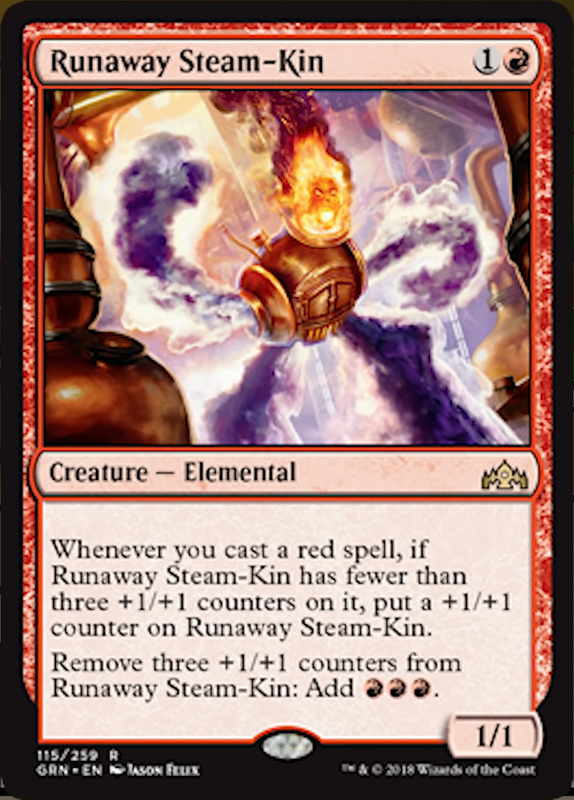 in a mono red storm deck, this would technically be a bear. in some ways stronger than the usual baral effect, since even a faithless looting would result in a counter. Unfortunately it has to contend with the likes of Eidolon. Even Harsh Mentor didn't prove good enough, I'm not sure a 4/4 without haste and preconditions will make the cut. Its not like burn is interested in that mana. I think it'd be an absolute beat stick even in a regular burn deck. Looks Izzet but feels Boros.